Colombia’s capital is a city that divides opinion. Its detractors cite poverty, gridlock traffic and crime, as well as depressingly regular rain, and with over eight million tightly packed inhabitants and some decidedly drab neighbourhoods, Bogota rarely elicits love at first sight. Given a day or two, however, most people do fall for this cosmopolitan city with its colonial architecture, numerous restaurants and raucous nightlife. She’s a sore eye worth exploring. 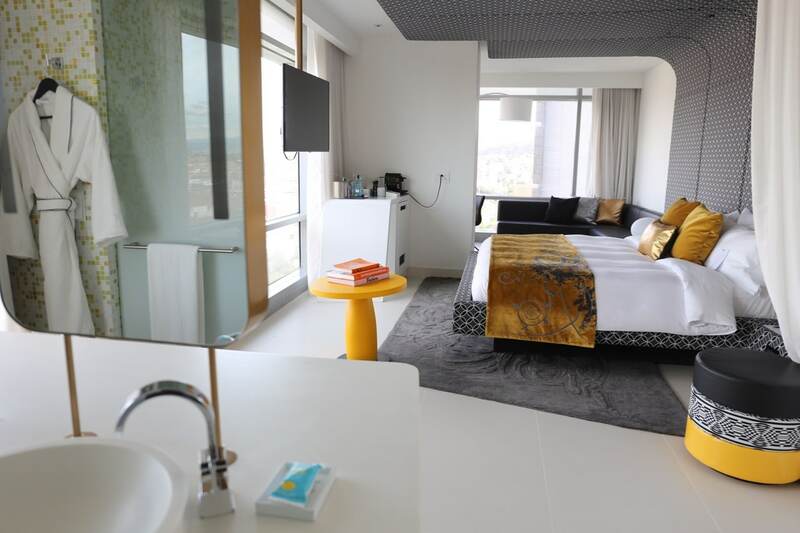 Located in the heart of Bogota, steps from the fashionable Usaquen district, between the city’s mountains and financial centre, W Bogota provides guests and locals with a cutting-edge and modern design interpretation of the Legend of El Dorado. The myth’s ancient rituals and precious elements are brought to life throughout the hotel’s 168 luxurious and stylish guest rooms and suites. Inspired by the lavish ceremonies of the ancient tribe and the rafts that floated on Lake Guatavita in another era, the W Hotel’s sweet suites are appointed with modern touches and locally-inspired furnishings covered in bright leathers, vinyl, and white sheers. All guest rooms include the signature W Bed, sumptuous Bliss bath amenities, well-equipped MixBar (the W brand’s reinterpretation of the staid mini bar), and a 360° floor to ceiling mirror to get a glimpse of your every angle. 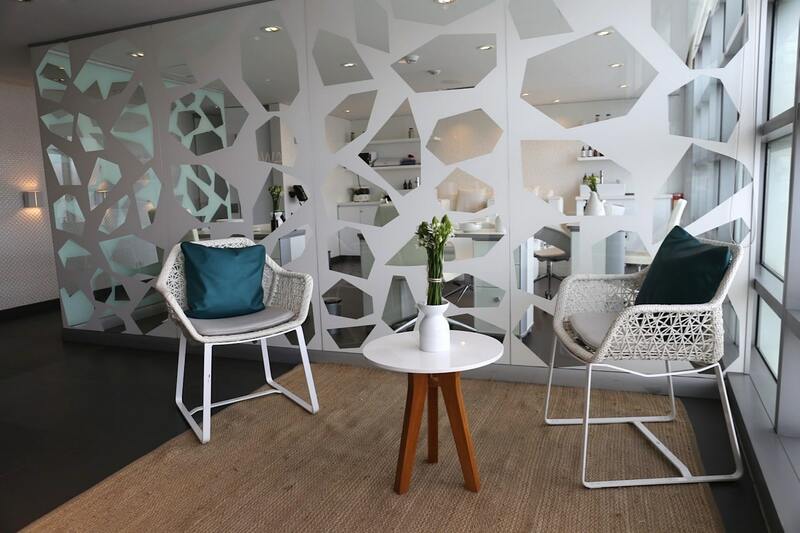 Guests and savvy locals have access to the W brand’s modern gym concept and AWAY Spa, both providing a retreat for detoxing and refuelling. AWAY Spa’s indulgent Loto del Sur amenities and menu of signature services embody natural elements and legendary rituals in a luxurious urban setting. The hotel’s indoor pool resembles a lagoon whose water sparkles with gold dust, reminiscent of the place where Gods and kings were once anointed many moons ago. 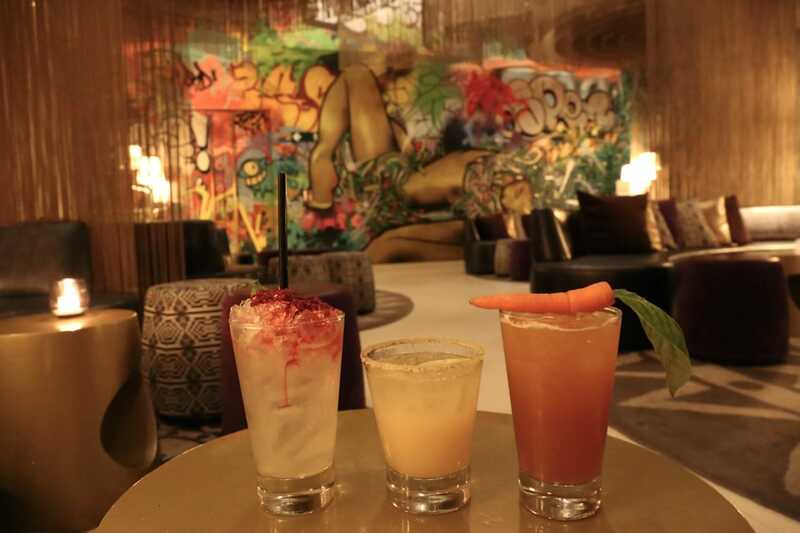 W Lounge offers a shake up to the traditional lobby concept and features gold-dusted accents and bold furniture as well as a local interpretation of Bogota’s urban art by Vertigo Graffiti. Each eve guests lounge in luxury while listening to beats by the hotel’s resident DJ. 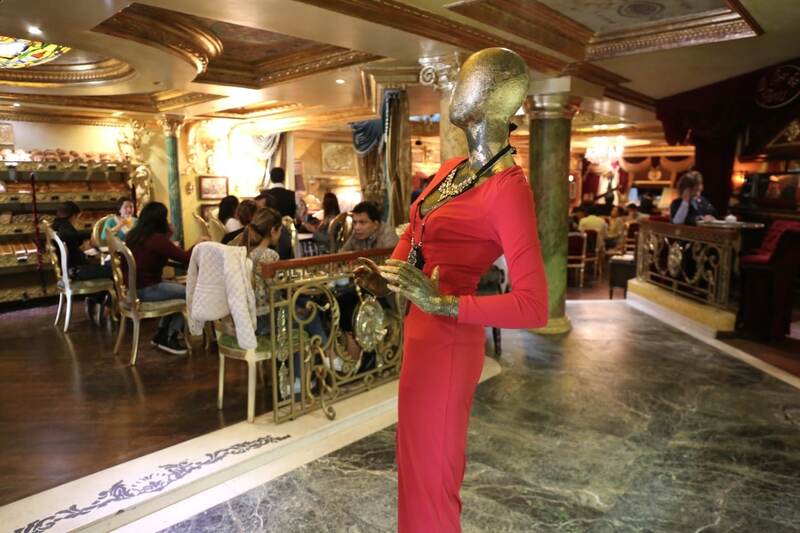 It’s a perfect perch to people watch and why not sip a few slippery cocktails as Bogota’s fashionistas bump and grind? Memorable libations offered by my dapper bartender include refreshing Ginger Margarita (don julio reposado, cointreau, lime, ginger salt) and veggie-tastic Beet Bramble (grey goose vodka, beet and hibiscus reduction, pink pepper, rosemary). Perched high above the city centre is the rocky outcrop that is one of Bogota’s most recognizable landmarks, the Cerro de Monserrate. 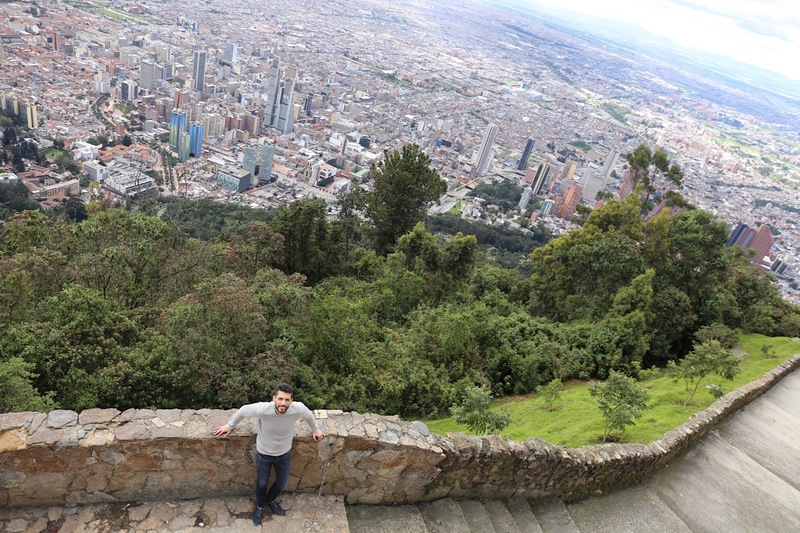 The hilltop, crowned by the Santuario de Monserrate church, offers spectacular views back down on the seemingly endless urban sprawl that is Bogota. 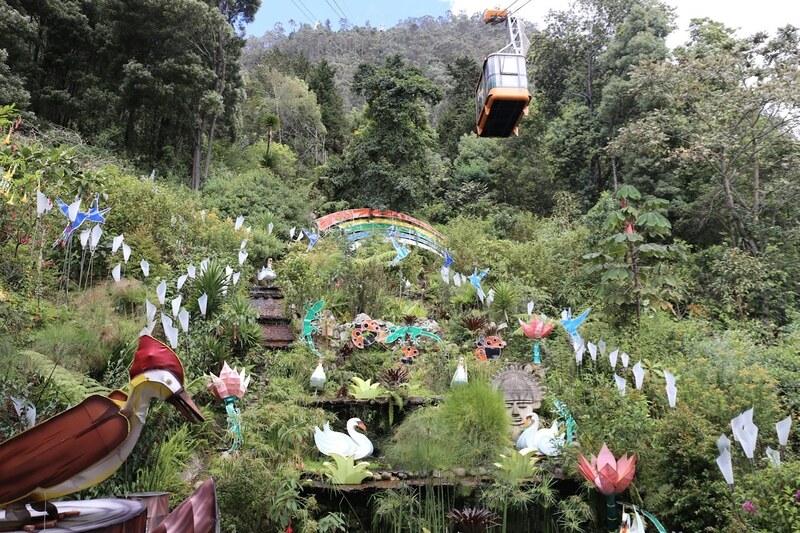 To get up to it, you have the choice of a funicular or cable car. Alternatively, when it’s open, you can hike a 90 minute trek up the 1500-step stone footpath that begins at the base of the hill and leads to the summit 600m above. The safest (and cheapest) time to go is Sunday, when you’ll be accompanied by thousands of pilgrims hoping for miracles from the church’s dark-skinned Christ. If you like your bling, you’ll love the Museo del Oro, with the world’s biggest collection of gold ornaments, some 55,000 pieces strong. The permanent collection starts on the second floor with a display of metallurgy, and an explanation on the differences and similarities between gold, silver, copper, and platinum. 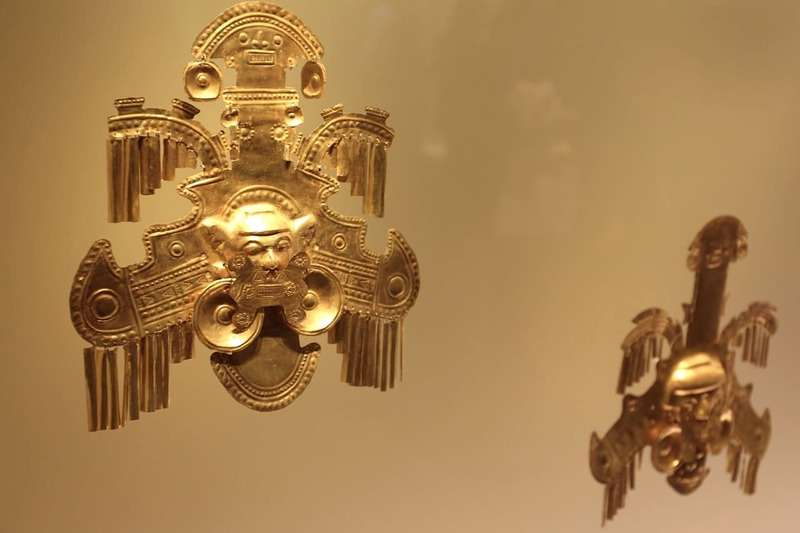 Then there are examples of gold ornaments from some of the country’s early cultures, including the recurring symbolism of animals such as jaguars, birds and bats, and human/animal hybrids representing shamans taking on animal form to travel to the spirit world. 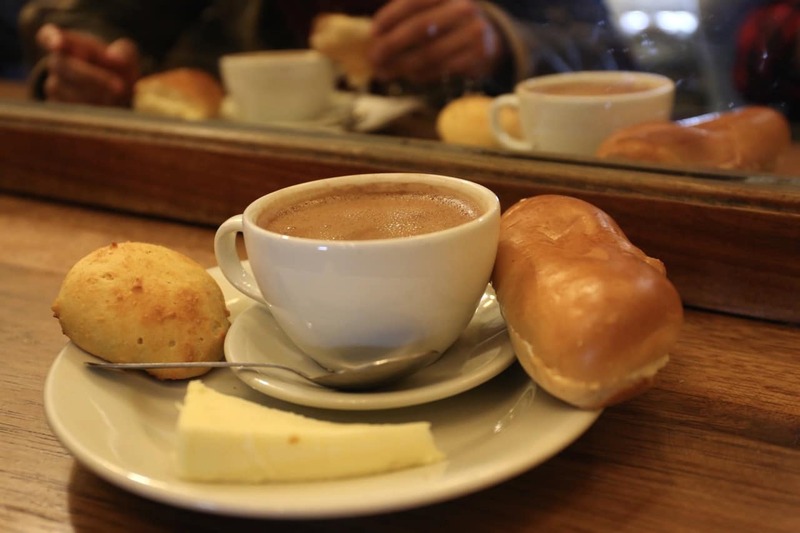 Founded in 1816, La Puerta Falsa is the oldest, best and possibly smallest place to get a chocolate completo, consisting of a mug of hot chocolate, bread and butter, an almojabana (cheesy cornflour roll), and a wedge of Colombian cheese. It’s a traditional breakfast, but I think it works best at teatime. Hot Tip: locals break the cheese apart and plop it in their mug. They slowly sip their chocolate and then once finished the now melted, stringy cheese is enjoyed with a quick scoop of a spoon. 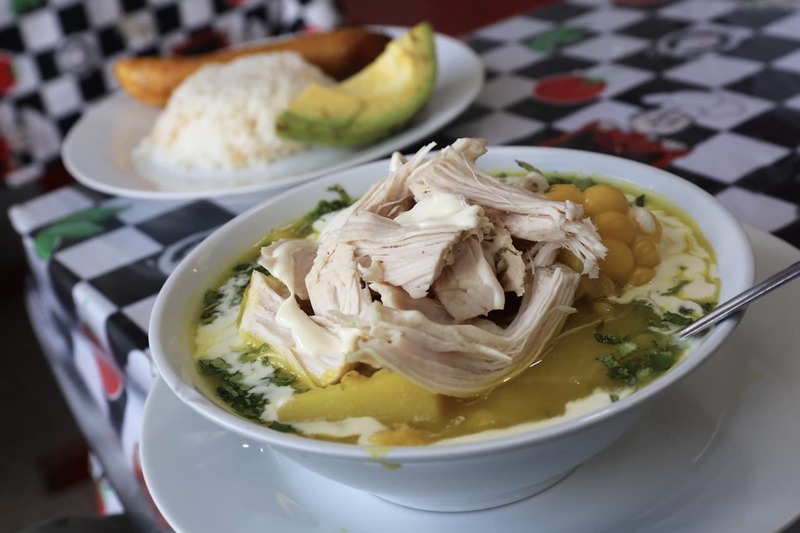 Ajiaco is Bogota’s culinary claim to fame. The popular dish fits somewhere between a soup and stew featuring chicken, potato, corn, a South American herb called guasca and is garnished with avocado and sour cream. The city’s oldest and prettiest neighbourhood, La Candelaria, is full of colourfully painted colonial residences. 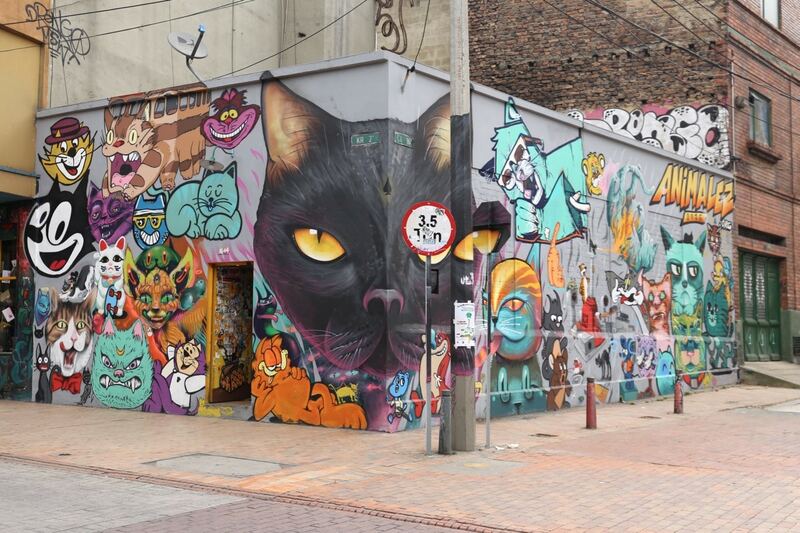 This is by far the most interesting part of town, where you’ll find the lion’s share of Bogota’s sights including museums, old churches, historical buildings and some of the best street art in all of Latin America. If you’re a fan of stellar street art book a tour with Bogota Graffiti, run and guided by street artists and personalities directly involved in the city’s urban art scene. The first Graffiti in Bogota were petroglyphs written on the walls of caves in the Bogota savannah’s made by the indigenous Chibcha people. From there, graffiti in Bogota evolved into a form of social commentary & cultural expression, especially during “La Violencia” and the height of the civil war. With a growing middle class and a drastically improved political system, modern taggers have removed some preach from the paint and continue to focus on creating artwork that showcases their skills rather than on a cause. The designs have become more and more complex via stencils, spray paint, stickers and wheat-pasted posters. Since graffiti isn’t technically a crime in Colombia, grafiteros have free reign to be as expressive as they please. 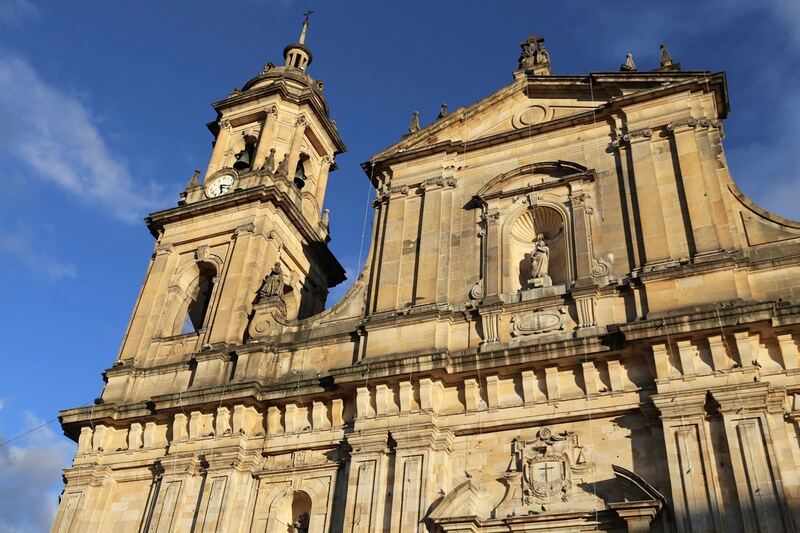 Bogota’s cathedral is located in the northeast corner of Plaza Bolivar, standing on the spot where the city’s founder, Gonzalo Jimenez de Quesada is supposed to have celebrated Bogota’s first mass in 1538, in a makeshift chapel with mud walls and a grass roof. Today the impressive structure features an imposing facade, cream and gold interior and an impressive organ. Three blocks east of Plaza Bolivar, in a fine colonial mansion surrounding a lush courtyard, the Museo Botero contains one of Latin America’s largest collections of Modern and Impressionist art, donated in 2000 by Colombia’s most celebrated artist Fernando Botero, to the chargin of some in his home town, Medellin, who wanted the museum there. 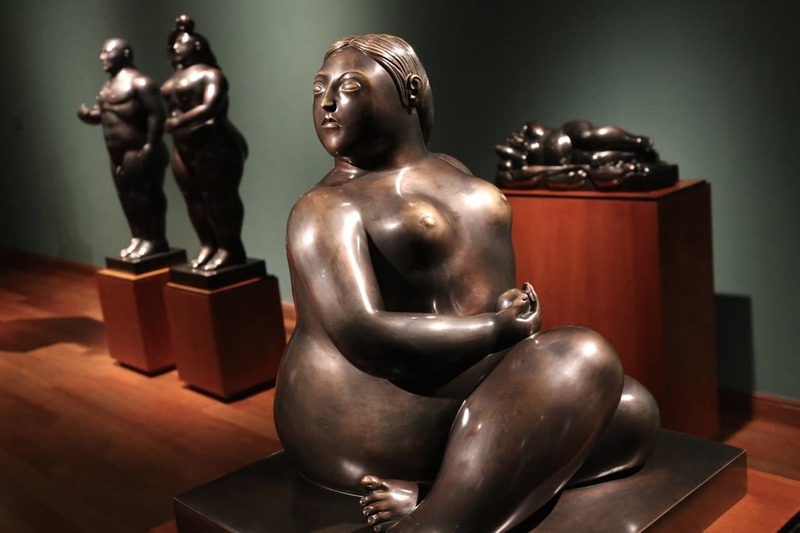 The museum has 123 paintings and sculptures by Botero himself. You’re greeted at the door by a giant hand (which scores of tourists with selfie sticks huddle around) but its Botero’s iconic portraits of pretty plump people that really make art fans swoon. Each weekend Bogota’s wealthy elite skip into Jacques Pagina to indulge in a French inspired brunch. Fashionable guests are greeted by an outrageous interior featuring stained glass ceilings, gold embellishments, rich velvet curtains and rococo style whimsy. You’ll find well to do families sipping on frothy cappuccino’s while nibbling flaky pain au chocolat and hollandaise slathered Eggs Benedict. This huge restaurant, with eleven dinning areas and a 62-page menu, doubles up as an extremely popular nightclub with two dance floors, a permanent party atmosphere, and walls and ceilings decked out with love hearts and knick-knacks. 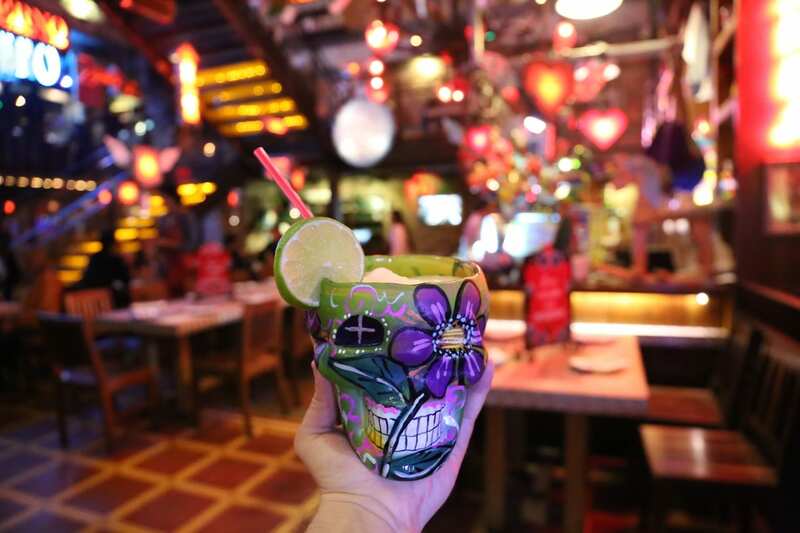 Andres Carne de Res is the best place in town to enjoy an epic meat-centric dinner while sipping massive margarita (out of a glass skull no less) while a local band croons the crowd. Colombia’s National Museum is located in what was once a prison. The late 19th century building, in the shape of a cross (so the guards in the middle could see every wing) was designed by the British architect Thomas Reed. 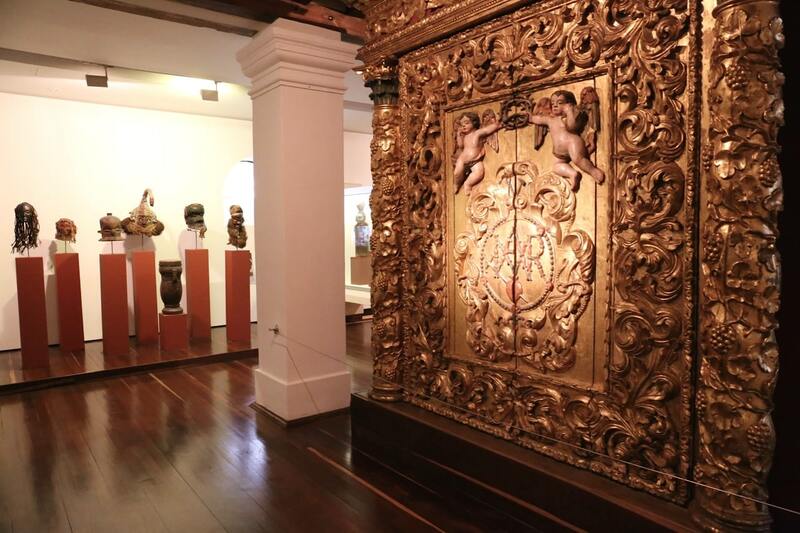 The three floors are arranged in chronological order: the ground floor is dedicated to Colombia’s pre-Hispanic people, the middle floor covers the colonial period and up top art lovers rejoice for an endless array of famous paintings by the like of Botero, Grau and Obregon. 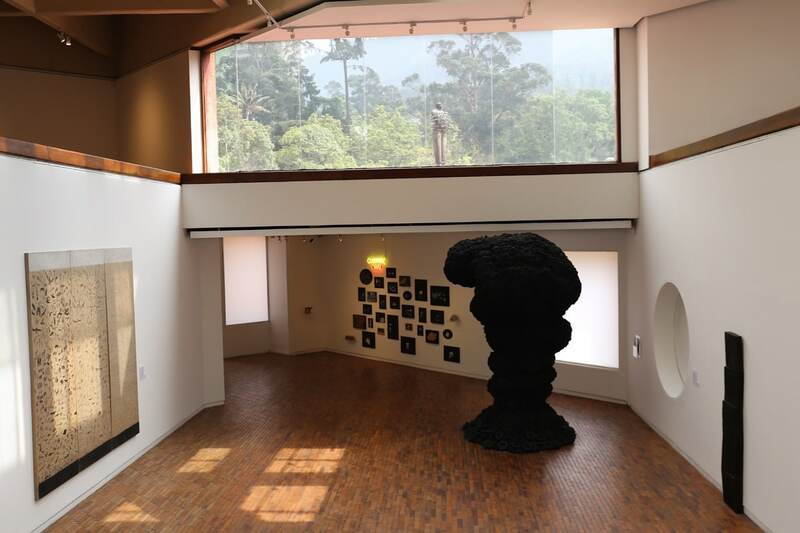 Bogota’s Museo de Arte Moderno (commonly abbreviated to MamBo) has the largest collection of contemporary Colombian art in the country, running the gamut from photography and painting to sculpture and graffiti. Frequently changing exhibits tend to focus on works by Latin American and in particular Colombian artists, but it also has works by Picasso, Magritte, Francis Bacon, Andy Warhol, Salvador Dali and Joan Miro. The building itself is an pretty cool example of modern architecture by French-born Bogotano architect Rogelio Salmona. Theatron is Latin America’s largest LGBT disco, an epic gay bar featuring ten unique spaces: you’ll find a billiard room, salsa room, disco room, karaoke space as well as massive main floor for electronica fans. The club has a capacity for over 8,000 people which really does make you feel as though you’re partying in a city within a city. The cover charge (C$42,000 or 15 USD) includes an open bar with unlimited Colombian spirits till 2am (jaw drops, omg). It will likely be the cheapest, sloppiest and most outrageous night out you’ll have your entire life. Take a nap before dinner as you’ll need to reserve your energy for the dance floor which doesn’t close until the wee hours of the morning (6am if your legs can last that long).